It was a great run. It’s getting so light out here in UT in the mornings, it makes me so happy! V and I had a great time catching up, as always. She was smart enough to wear sunglasses, it was bright! That afternoon me and my SIL’s went to get our feet analyzed. 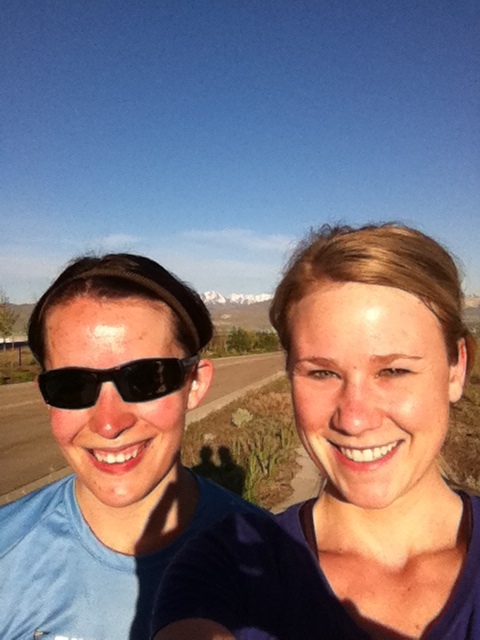 My SIL just had a baby and they are both training for a half marathon in October. I found out I run pretty normal and don’t have any major issues. 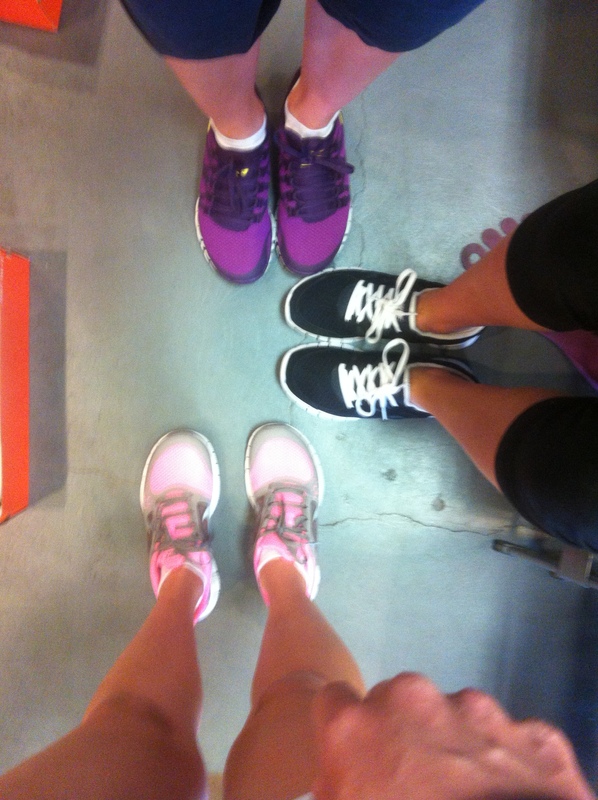 I currently run in Nike Lunarglides and I feel like they’re too clunky for me. 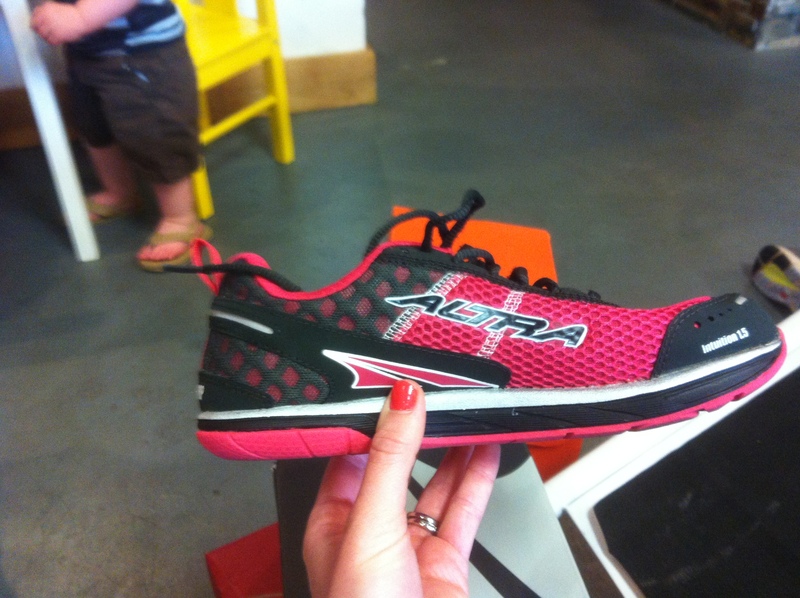 I tried on these Altra’s and I may be in love. I may or may not know what my Mother’s Day gift is(hint, hint). That night our neighbor invited us over for homemade pizzas. 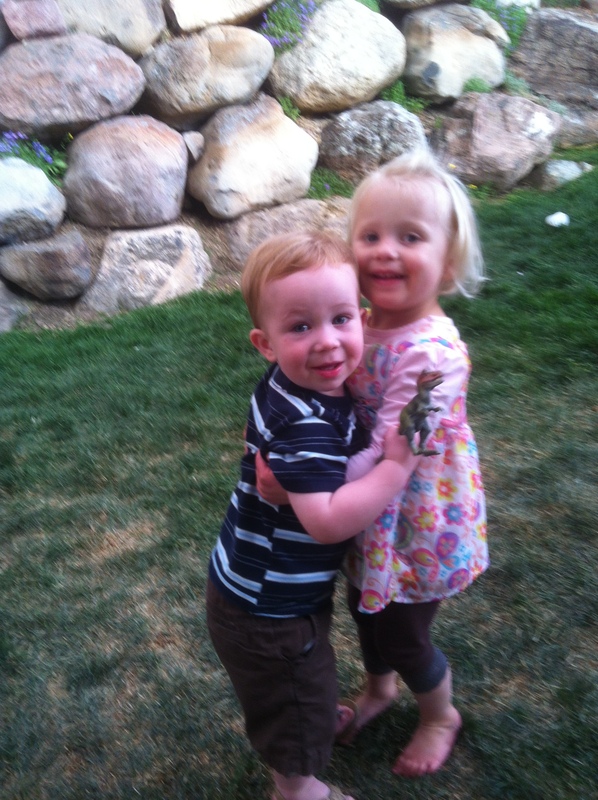 They have such a fun backyard, and J loves all the attention the other kids give him. I didn’t get a pic of my food, and I’m totally regretting it. I can’t wait to get the recipe for the delicious pesto, mozzarella, basil pizza Kim made. I brought watermelon, can’t have a proper BBQ without watermelon. Heather just moved into my neighborhood and the minute I heard she ran we became instant BFF’s (she doesn’t know it yet). When she texted me Friday wanting to run yesterday I was more than willing! 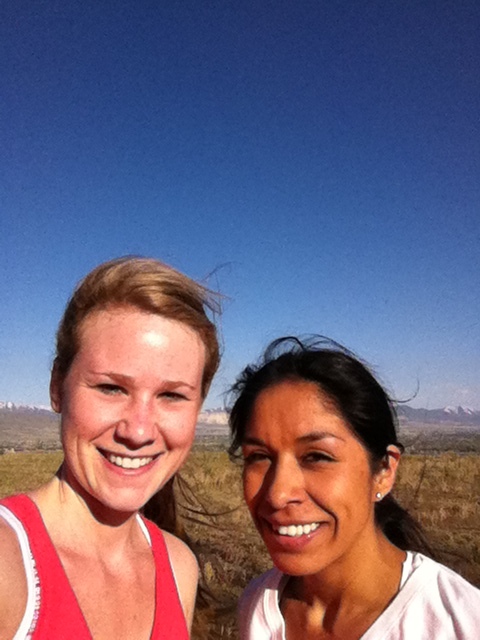 There’s something different about getting to know someone through running. You always talk about more meaningful stuff than you would when you’re just chatting over lunch. Tonight the hubs and I get to go on a date and I’m very excited! Happy Saturday, hope everyone’s weekend is awesome! Anyone get their feet analyzed latley? Who’s eating watermelon this weekend? Happy Mother’s day to all you wonderful mothers, or soon to be mothers!! 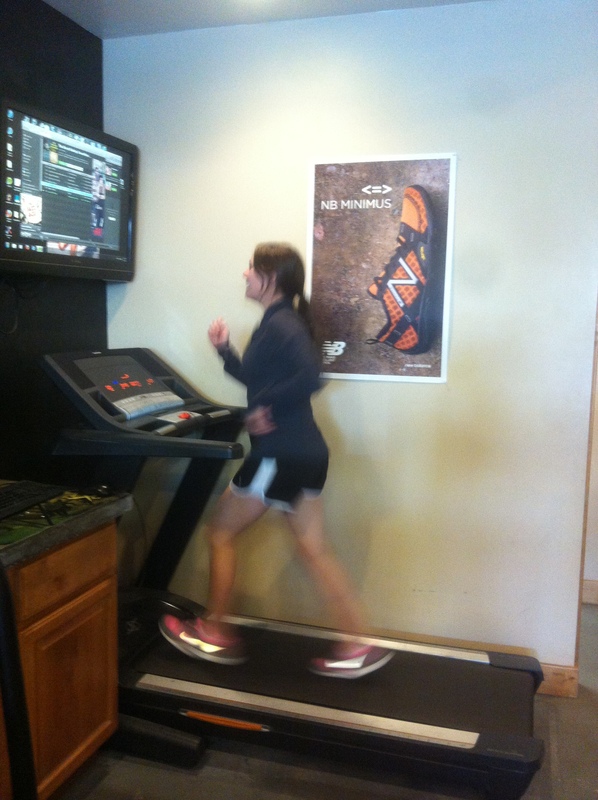 This entry was posted in Uncategorized and tagged Altra running shoes, feet analyzed, Mother's Day, weekend recap, workout. Bookmark the permalink. I just bought a watermelon! I haven’t cut into it yet but I am very excited about that thing. You should be, they are just too delicious! I do hate cutting them though, it’s a hassle! I like my lunarglides, I’ve ran in them for about 2 years now, but I think I need a lighter shoe for speed workouts ya know? I think I’ll keep the lunarglides in rotation. 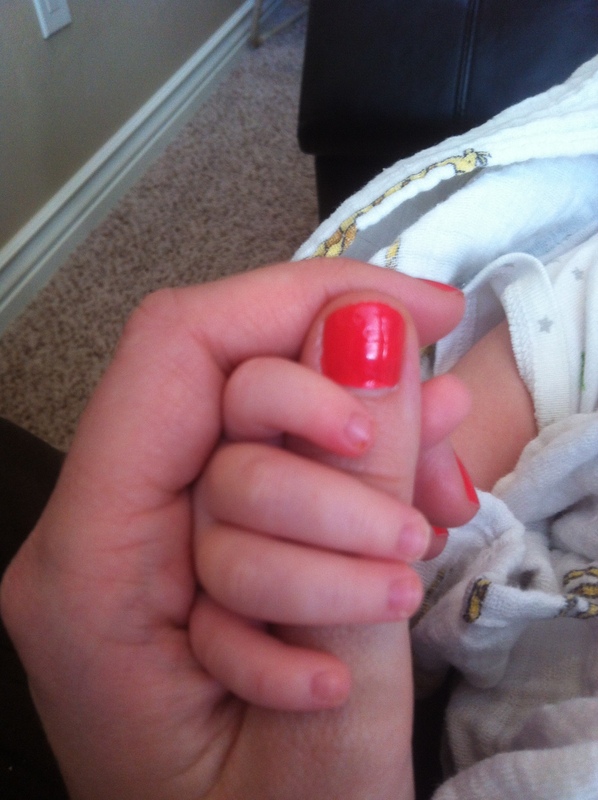 I misread your title as “Shoes, BBQ, and another baby” and I thought you were telling us you were having another baby! I had my feet analyzed in February before my half marathon because my shoes were so worn down I had to get a new pair 2 weeks before the half. Talk about panic. I apparently run pretty normally so I’m guessing it was just my shoes giving me issues and not any pronation as I had thought. I’m not eating watermelon this weekend, but I am eating pineapple! hahah no baby any time soon lol Oh my gosh that would be so stressful, I’m so glad it all worked out and that you rocked your half!! Looks like you’re having a great weekend! I’m planning to get my feet analyzed in a couple of weeks. I know what they’ll say but I think it’s something I have to do anyway! Thank you! Ya it’s always good just to make sure, I hope they’re able to help you and you can run comfortably. Hey Sharsti!!! 🙂 So fun to meet you! You’re so cute! Hopefully we meet again soon! Annette! It was the best chatting it up with you and you cute belly! I hope we can meet up next weekend at Blend, I”m looking into it! I actually don’t care much for watermelon! But I ate tons of other fruits this weekend! Don’t care for watermelon?? Crazy! I’m glad you still got to eat other yummy fruits. I could totally go for some watermelon right now! What a great weekend of running for you!! Thanks, it’s been so nice to be able to get outside, finally!!! I wish I could send you some of my delicious watermelon. Mmm I need to get some watermelon! Looks like a fun wknd, Happy (belated) Mother’s Day!! Thank you, that’s so nice of you to say! I wish I could send you some watermelon, it was too delicious!